Once again a song I had not heard before. 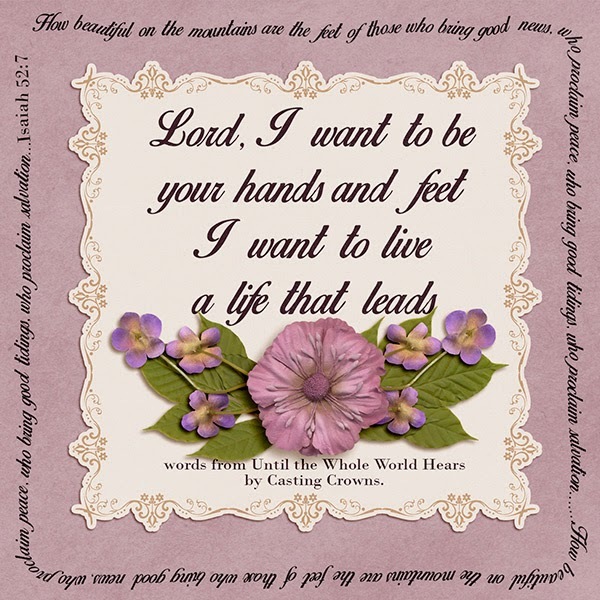 Please visit Patter's blog HERE so you can read Patter's teaching, read the words of the song and listen to the song via the link that Patter shares. The words from the song that I have used on my page ( totally digital - too busy this week to do anything hybrid) stood out to me. I so want to be a better witness for our Lord. I felt the scripture - Isaiah 52:7 went with these words. We need to be willing to share the good tidings which is the truth of salvation to really be the hands and feet of Jesus.